The 2016 USA Memory Championship took place on May 7th in Hershey, Pennsylvania. Congratulations to the new US Champion, Alex Mullen, and to all the competitors! Here is an overview of the competition and a link to the forum discussion. 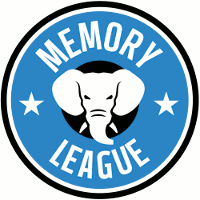 Every year for the past couple of decades, the best memorizers in the US have competed against each other at the USA Memory Championships to see who can remember the most information: random numbers, random words, shuffled decks of cards, and facts about random party guests. Speed Cards: a shuffled deck of cards memorized in 18.653 seconds by Alex Mullen. I think that this is the fastest speed ever achieved in a competition. After the morning events, the elimination rounds began. Competitors from left to right: Paul Mellor, Katherine He, Erica Wang, Mallika Kodavatiganti, Tuan Bui, Alex Mullen, Brad Sundstrom, Jesse Cui and Jerry Yang. In this elimination round, the competitors have to memorize a lot of facts about imaginary party guests. You can try it yourself with this memory training script. Read more on the USAMC website, read Alex’s writeup, discuss the competition in the forum, and view a list of previous USA Memory Champions. If you want to learn how to perform these memorization feats, sign up for a free account in our community, and we’ll send you an email with information on how to get started!